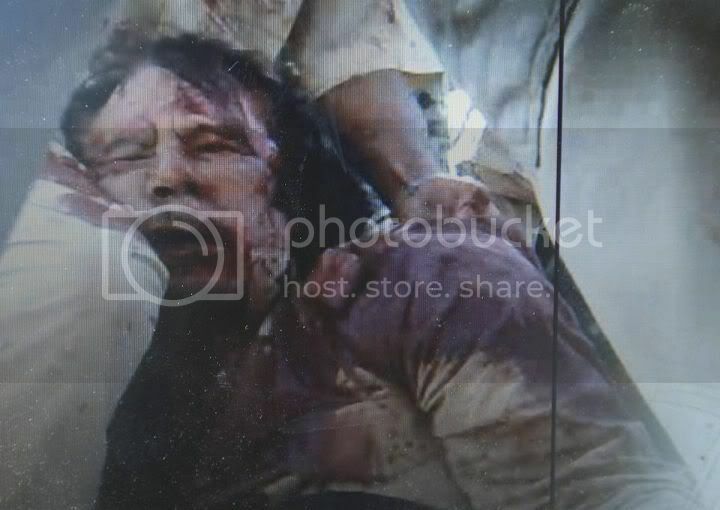 The brutal death of Muammar Gaddafi is not the fairytale cinematic ending the coalition government would have wanted and, no doubt, basked in. There will be no international war crimes trial with the flamboyant despot standing defiantly in a glass-fronted dock spouting utter nonsense from his “Green Book”. There will also now be no possibility for the British families of victims of the atrocities he committed during his 42-year dictatorship to obtain recourse. Instead, what the world is left with is graphic mobile phone footage showing the blooded, balding oppressor cowering as he is manhandled by those he had previously oppressed. It is an observable fact that few Libyans believe justice has not been served. Of course, that in no way puts an end to the matter but what is clear is that the focus should now be on the future of the Northern African country. In the New Statesman’s rolling blog, Zamila Bunglawala was spot on with his diagnosis of the scope of problems its inhabitants are likely to encounter and how they can attempt to overcome them in the coming months and years. He called for the “Franco-British led NATO push” to offer as much guidance and training as possible so Libya can move forward from this inauspicious start in a democratic fashion. There is much work to do and this is not the time for those involved in helping to topple the self-styled “king of kings of Africa” to suddenly get cold feet because they are “unhappy” about the manner of his death. When I started writing this post in the early evening Libyan leader Colonel Muammar Gaddafi had vowed to stay in Tripoli “until the end”. He then called on his supporters around the country to help liberate the capital from a rebel offensive. In an audio message played by state television he said he was “afraid that Tripoli will burn”. By 2200 BST, I was absolutely gripped by Sky’s Alex Crawford unflinching reports from Libya. Meanwhile, Gaddafi’s spokesman, Mussa Ibrahim, claimed in a broadcast a few minutes later that 1,300 people had been killed in the last 11 and a half hours and laid the blame for the deaths at NATO’s door. He went on to call for a cease-fire. 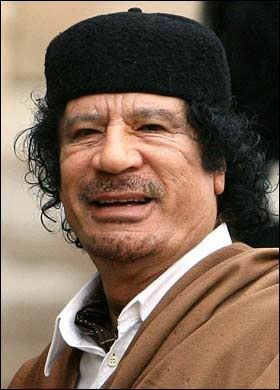 Sky News then reported that the rebels had revealed Saif Al-Islam, Col Gaddafi’s son, had been captured. An ex-colleague of mine posted a comment on Facebook questioning whether the rebels have a plan to govern the oil-producing country. The National Transitional Council (NTC) is now recognised as Libya’s legitimate authority by many countries including the British government which unfroze £91m in UK assets belonging to the Arabian Gulf Oil Company, a Libyan oil firm under the NTC’s control. However, the rebels comprise different factions and ethnic and tribal divisions.